Being a chama leader, is not easy. It is mentally draining, takes up a lot of time, and requires a lot of responsibility. 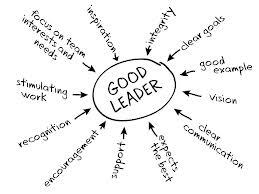 It takes a special person to be a good leader. Not everyone is born with the skills of a good leader, but most people can develop those skills over time. A leadership coach at USIU gives some pointers. There are certain things all good leaders possess. This article describes the necessary elements of a good chama leader. It is each chama member’s responsibility to show up to every meeting, but it is the leader’s job to be early to each meeting. If possible, arrive before anyone else to set up the room and answer questions from early arrivals. You should know your chama well. If possible, you should know each and every person’s name and use their names often. Go an extra mile to learn everything you can about them for instance where they work, where they live, their lifestyles, their families, their financial goals, etc. Of course if you are leading a chama comprising of your friends, this gets easier as you already know your members intimately to start with. Include everyone in group discussions. Every member of a chama is important. Make everyone feel important by letting them speak during the chama meeting. Don’t dominate the conversation with your own agenda. Let others speak and you will be heard when it is your turn. Of course as the chama leader, you have the final say over decisions, but some have a tendency to dictate most matters. Avoid doing this as it makes you look like a chama dictator. Don’t let the power go to your head. Remember you were elected into your position. Don’t make your members regret their decision. If the chama needs to make a decision, carry out a vote and go with the majority. This way, members go home feeling that you were fair. Only if a leader acts as an example, would the leader be respected enough to be given the proper respect as a leader. Being an example can be anything, right from the way you attend meetings, to the way you make chama decisions. As the chama leader, you should be a cohesive force between all the chama members. In a chama atmosphere, it is a miracle that all the people in the chama are on good terms with each other. Therefore, it is the responsibility of the leader to make sure that all of them are comfortable with each other and have a relationship that makes the chama a productive one instead of a chama that is wracked by problems. Be committed as the leader and the others will follow suit. Let chama members know their common goal and be committed to achieving it. Let them feel free to argue about their goals and how to achieve them, but ultimately reach a consensus and move forward when a final decision has been made. Members of the chama must hold each other accountable as the leader you should guide them on this. Don’t be afraid to address individual chama members when their behavior may keep the chama from meeting its goals. Each individual is genuinely concerned if they sense that their performance may be keeping the chama from meeting its goals.